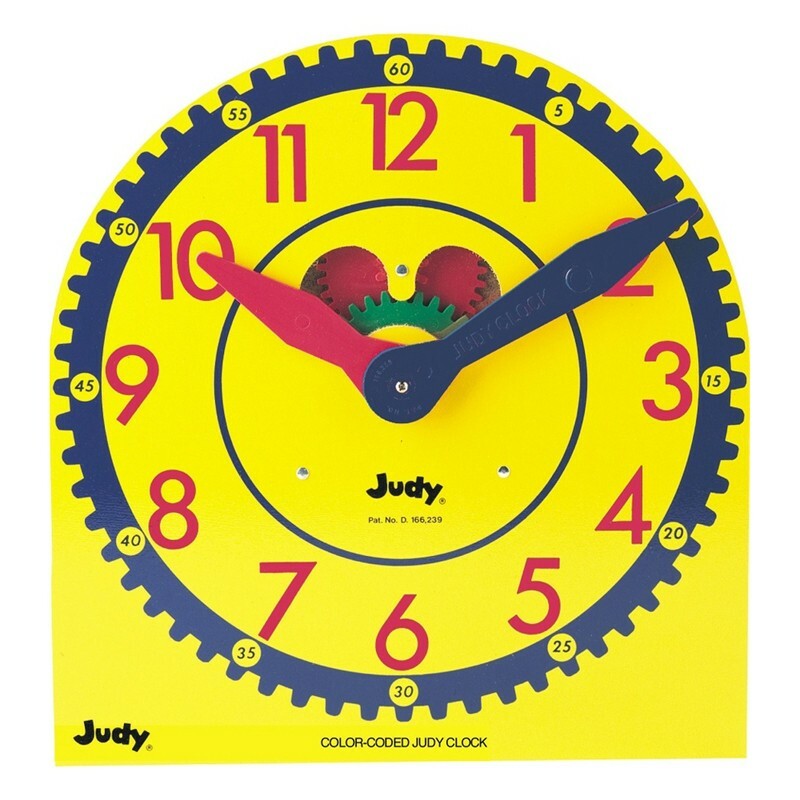 Use this color-coded version of the Original Judy Clock to help teach time. Includes all the features of the Original Judy Clock but with the addition of color-coded hands—the hour hand matches the color of the hour numerals. The minute-hand matches the color of the minute tick marks. This makes it easier to teach time to the hour and to the minute.